Here & (T)here from filmnoiseVimeo on Vimeo. 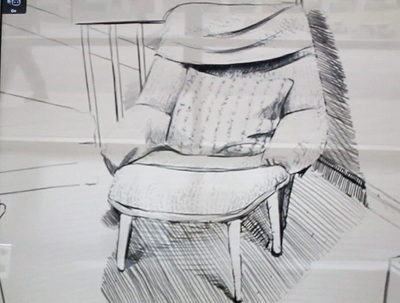 What separates cities and places in our era of mobility, virtuality, and instant media? Ours is a time when distance is bridged as much by the body’s physical journey as by the power of representation to conjure up an experience in the mind. In Newton’s mechanical universe, distance was conquered through the journey, the real displacement to a different place. In the Quantum universe, however, where ambiguity is a guiding principle and quasi-instant exchange is the norm, distances evaporate before the seduction of immersive imagery. 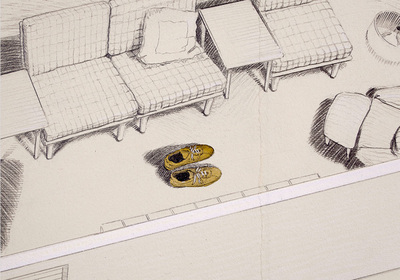 Is every place – the there - potentially already here? 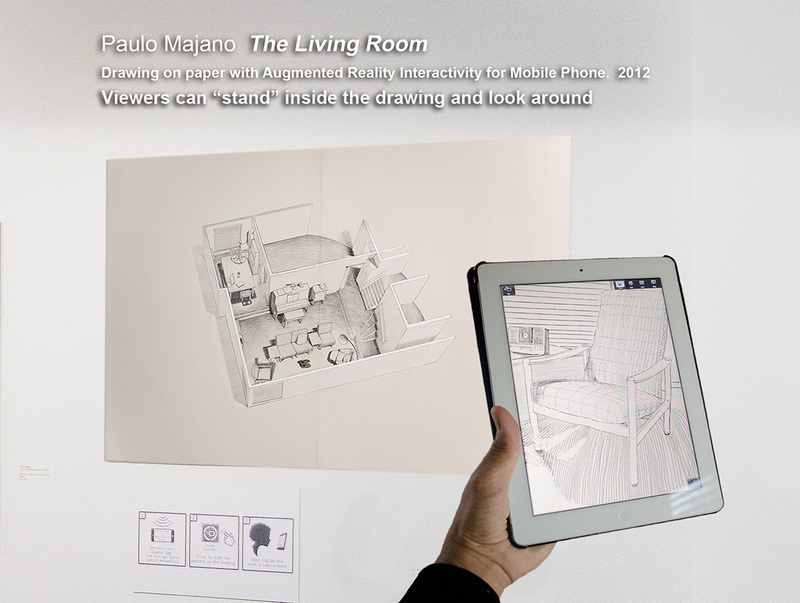 The Living Room is a drawing on paper installation with Augmented Reality interactivity for mobile phone. 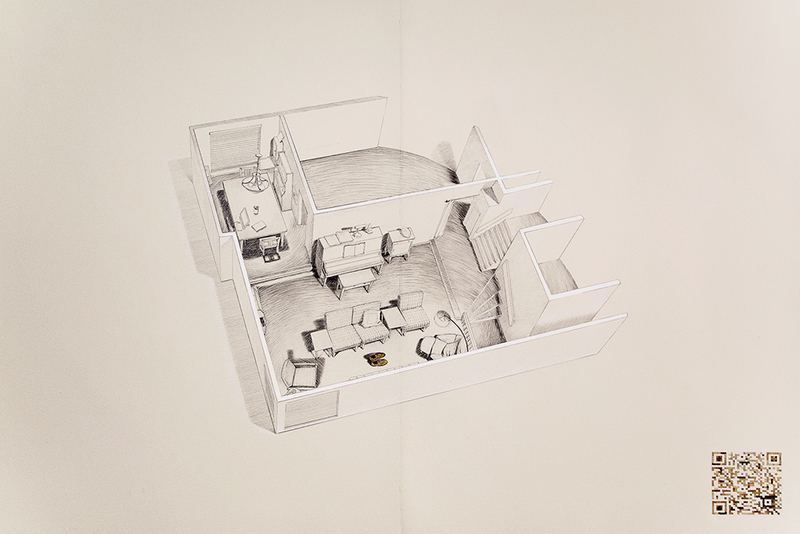 This first installation, from the ongoing project “Here & (T)here”, was presented in the exhibition DRAWING:EXPANDED MEDIUM June to August 2012 at the Gallery at Evergreen, in British Columbia. 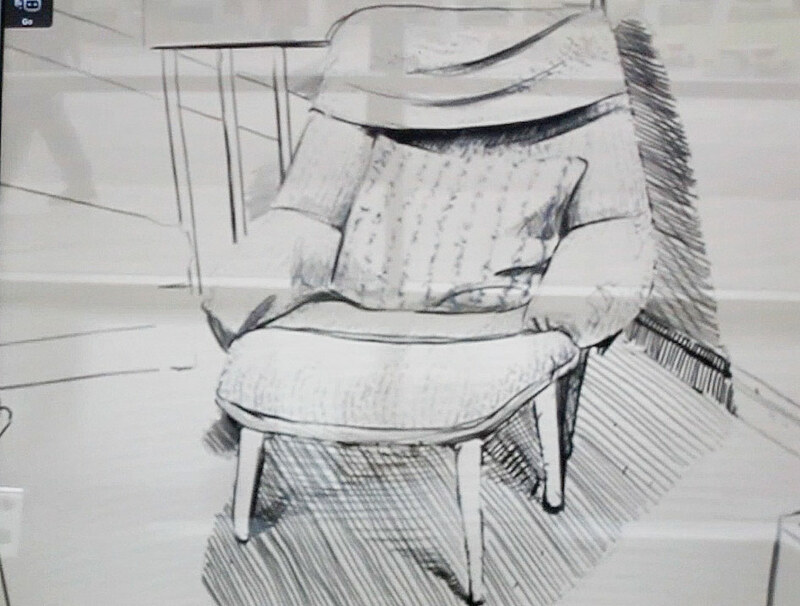 In The Living Room, I use Augmented Reality (AR) with drawing to invite the viewer into a more immersive interaction with the image. The aerial view drawing of a living room transforms into an immersion in the location itself. Visitors can stand virtually ‘in my shoes’ inside the drawing and look around from my point of view. The radio is playing, I invite you to stay a while.